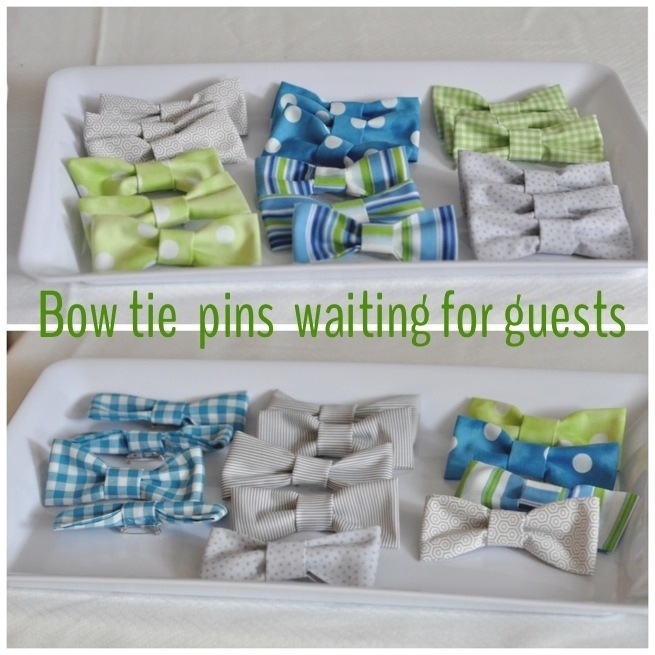 Trays of Bow tie pins for each guest. 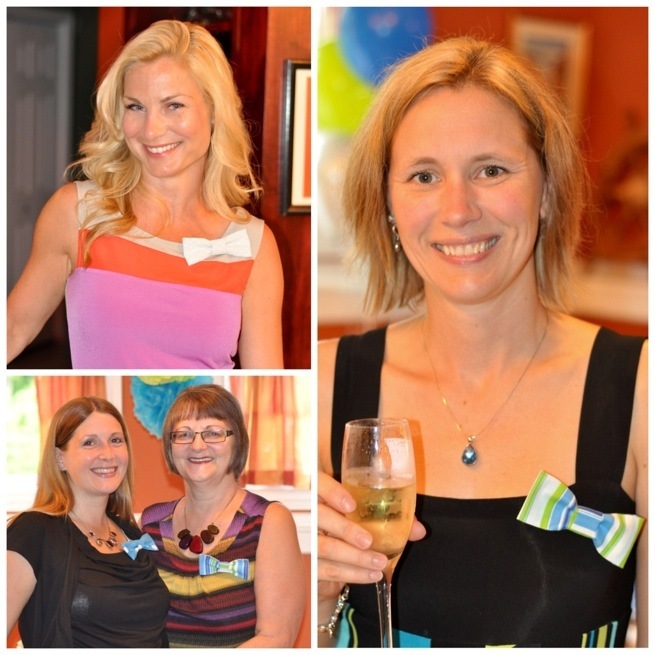 Sporting these fun and fabulous little bow ties. small bowl with ice and water in case your glue gets too hot and on your fingers. Dip immedietly in ice water. 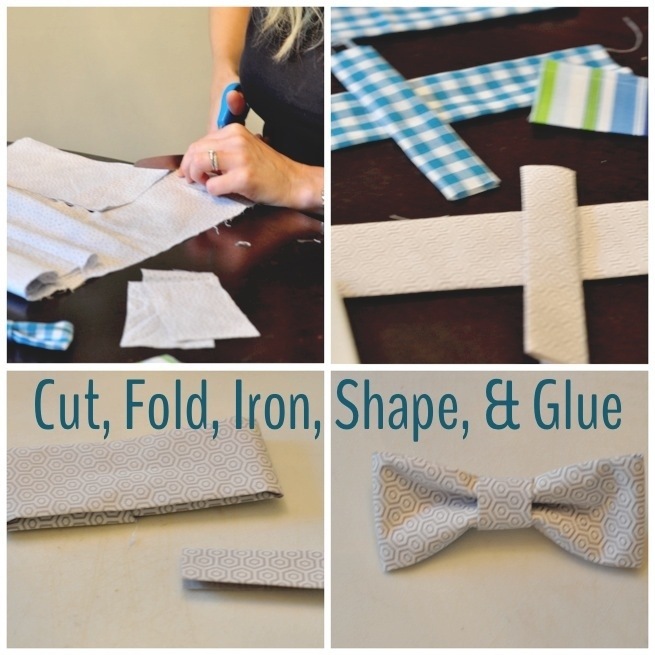 Cut the fabric in 4.5″ by 9″ rectangle for the main bow tie section. Cut a 2.5″ by 2.5″ piece of material for the bow center. 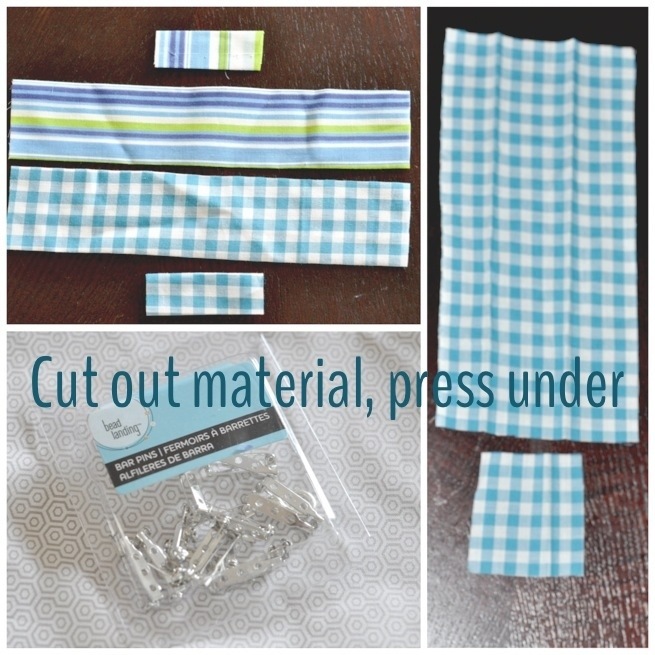 Iron one edge of the bow under slightly and then fold in thirds so each edge is folded under and press slightly. 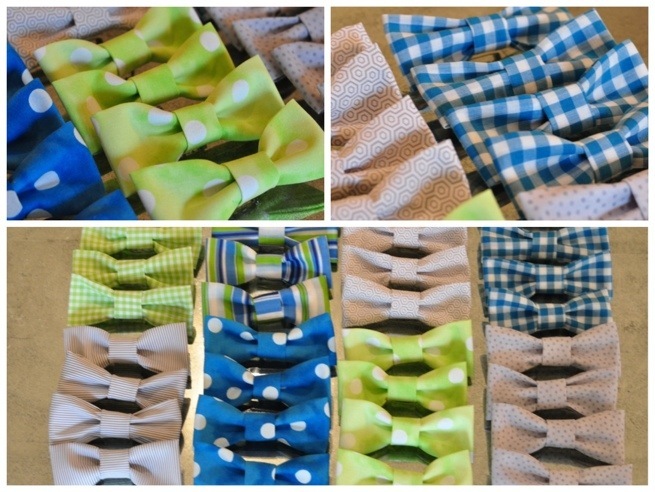 Repeat process for bow tie center fabric. 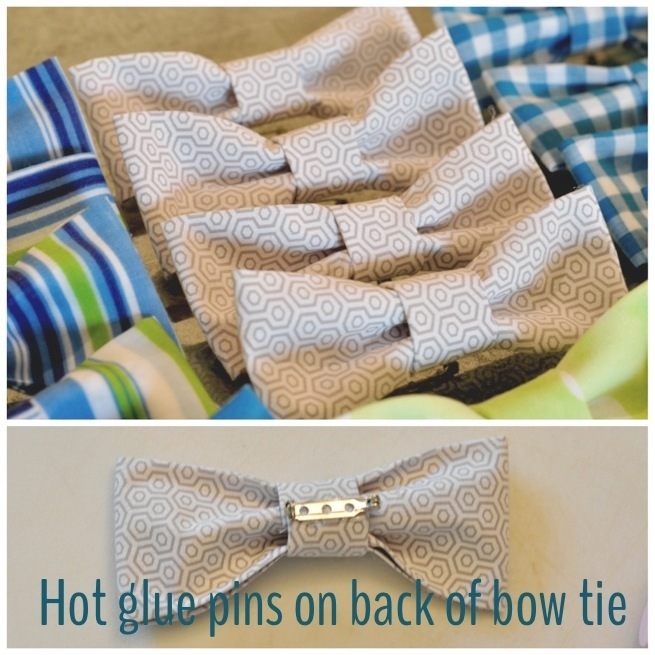 Hot glue the bar pin to the back of the bow tie. Let cool. Your finished. When you are making 24 of these it is nice to have extra hands, the hostess, and another friend popped in to help me get these finished up.